Contamination in nursing facilities is a serious problem that can affect the health and well-being of every patient. Because of that, the nursing staff and housekeeping employees are required to follow specific procedures and protocols to minimize the potential spread of infections, contagious diseases, viruses, and bacteria. Unfortunately, not all nursing homes follow these protocols, which is often harmful to the resident. Rosenfeld Injury Lawyers LLC have provided legal representation to Illinois nursing home residents who have suffered harm from a preventable infection while residing at skilled nursing homes like Helia Southbelt Healthcare. As a part of the Helia Healthcare System, Four Fountains Helia Southbelt Healthcare Center provides rehabilitation services, skilled nursing care and long-term care along with neuromuscular disorder care, cardiac care, amputation care, fracture care, IV therapy care, pain management, enteral nutrition, nutritional support, advanced wound care, tracheostomy care and post-operative wound care. The state of Illinois and the federal government nursing home regulatory agencies regularly update the national nursing facility database system. The Medicare.gov information contains a historical list of filed complaints, opened investigations, health violations and safety concerns of every facility in the United States. In a summary statement of deficiencies dated 07/05/2016, a complaint investigation was opened against the facility for its failure to "follow contact precautions by not wearing proper personal protective equipment when cleaning an isolation room for [highly contagious] Clostridium difficile (C. diff), [and a failure to] perform proper hand washing/hand hygiene to prevent the spread of infection.” The deficient practice by the nursing staff affected five residents. The incident involved a resident who was “totally dependent on staff for toilet use, dressing and personal hygiene.” On the morning of 06/28/2016, the housekeeping staff went inside the contact isolation resident’s “room wearing gloves and holding a broom and dustpan, and swept the floor.” When finished, the housekeeper placed the dustpan and broom back in the housekeeping cart, mopped the floor and left the resident’s room without wearing any gown or shoe protectors, only gloves. 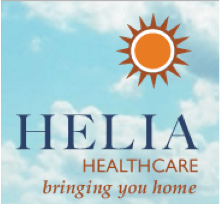 If you suspect your loved one has suffered harm through abuse, neglect or mistreatment while a patient at Helia Southbelt Healthcare – Four Fountains, call the Rosenfeld Injury Lawyers LLC law offices. Our reputable Belleville qualified attorneys can successfully resolve your abuse, neglect or mistreatment victim case on your behalf against Illinois nursing facility that caused your loved one harm. We urge you to contact our St. Clair County elder abuse law office at (888) 424-5757. Schedule your appointment today to speak with one of our experienced lawyers for your free comprehensive case review. We accept every nursing home abuse/neglect claim for compensation through contingency fee arrangements. This means our legal fees are paid only after we have negotiated an out of court settlement on your behalf or have successfully resolved your case in a court of law.